This great home is one half block from Wigwam Creek Middle School. Five generously sized bedrooms plus loft. BIG formal living and dining rooms with HUGE family room. Large kitchen features informal dining area & breakfast bar downstairs. 3 car tandem garage with epoxy floors. Master suite has plenty of room for a king bed and sitting area. Wonderful master bath has separate shower & tub and large walk-in closet with windows. Loft has door to a large balcony with mountain views, and for convenience, the laundry room is upstairs near the bedrooms. 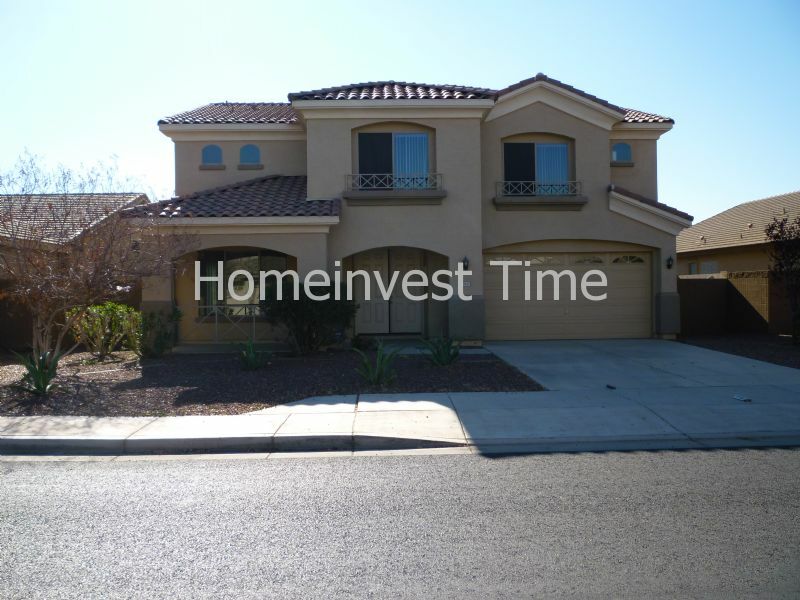 Near I-10, Loop 101, Cardinals stadium, golf, shopping & restaurants.